The vision for organizing a DAR chapter in Shenandoah began when Jeanette Ralston came to live in Shenandoah with her husband, Forrest. Jeanette had been active in the DAR in Illinois. Here, she met new friends who were interested in their Revolutionary ancestors and in their country. 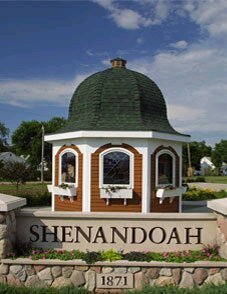 They were eager to have a chapter in Shenandoah. The first meeting was held March 15, 1922, at the home of Mrs. Ralston, who lived on Crose Court, the block between West and Church Streets. The chapter charter was issued February 26, 1930. Through the years, the chapter has had many projects. 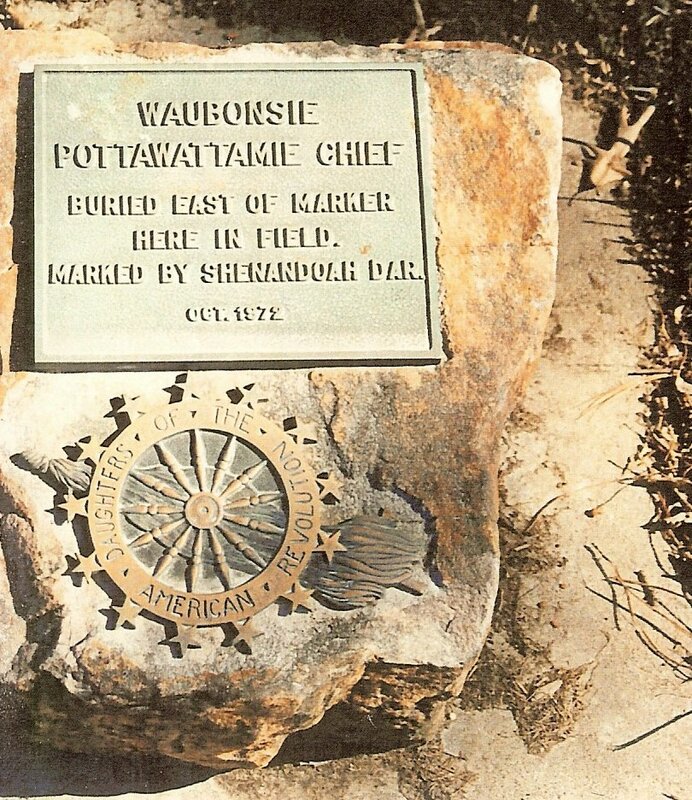 We placed a marker on the grave of Chief Waubonsie; reset old tombstones in Manti Cemetery; placed a DAR marker on the grave of each deceased member of our chapter; placed a marker on the grave of Daniel Dow, who is believed to be the only American Revolutionary War soldier buried in Page County, and send money and clothing to help support the DAR schools. 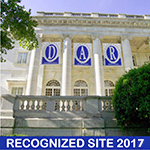 Each February, the Shenandoah Chapter NSDAR honors the students chosen for the DAR Good Citizens award from Shenandoah and from four surrounding high schools. From these five, one name is chosen to be sent to the Southwest Iowa District competition. Our chapter has been honored to have several district winners represent southwest Iowa at state conference. We are also proud to have been the chapter host of the State DAR Good Citizens winner in 1952, 1969, and 1997. Each year, our chapter has had a decorated car in the Memorial Day parade, and participated in the service at the local cemetery by giving tribute to all veterans – from the American Revolutionary War to the present day – and placing a wreath on the grave of the Unknown Soldier. From 1967‑1985, we sponsored an antique show and sale in the spring to make money for our DAR projects. In the 1960s, our chapter had a great interest in saving and refurbishing the Iowa Room in our DAR Museum in Washington, D.C., under the direction of Mabel Rapp and assisted by Grace Brown and Marie McMichael. We gave a valuable painting in honor of Mabel Rapp. It is a tradition for Waubonsie Chapter NSDAR of Clarinda and Shenandoah Chapter NSDAR to meet together in June to celebrate Flag Day. The two chapters take turns entertaining for this event.